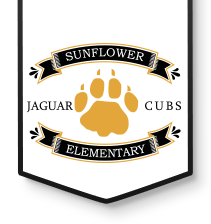 The mission of this organization shall be to promote the growth and the education of all children attending Sunflower Elementary. This organization will encourage the partnership of parents and teachers to the benefit of the children and youth in home, school, and community. - To foster a cooperative relationship between parents, teachers, support staff, and school administrators. - To encourage family participation within the school. - To encourage families to volunteer in school and/or on district committees. - To plan and carry out special events, of which all monies raised, will be used to directly benefit the school and students. - To keep informed about the school’s educational programs and district strategic goals. - To respond to family concerns. - To communicate with the Principal.